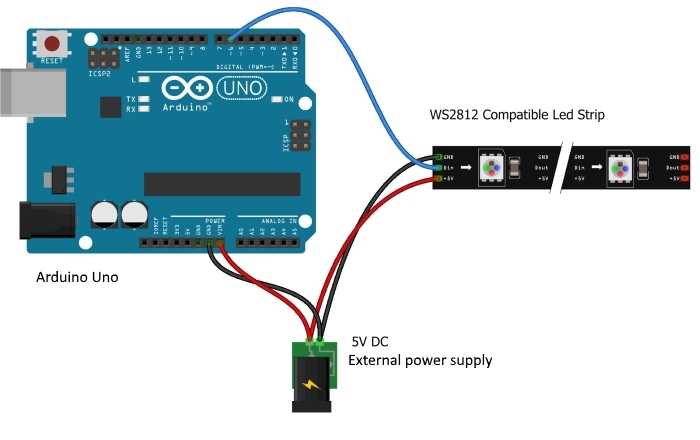 We will learn how to connect WS2812B digital RGB LED strip to Arduino board and use it. In contrast to the APA102C used in some other similar LED strips, which uses a standard SPI interface (with separate data and clock signals), the WS2812B uses a specialized one-wire control interface and requires strict timing. 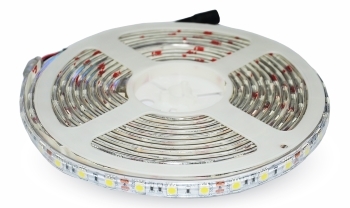 You can find the WS2812B datasheet here and you can read more about LED strips here. 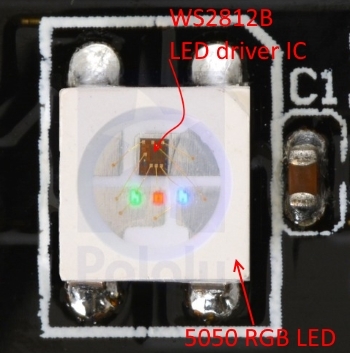 In the following figure you can see our WS2812B digital RGB LED strip. It is 5 meters long, the LEDs are in a water resistant silicone tube filed with glue. 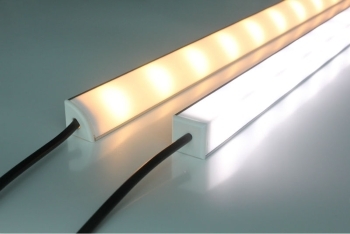 It means that LED strip can be left outside at the rain and dust without any problem. You can control the brightness and the color of each LED individually, which allows you to produce amazing and complex effects in a simple way. This LED strip is made by WS2812B LEDs wired in series. These LEDs have an IC built right into the LED. This allows a communication via a one-wire interface. 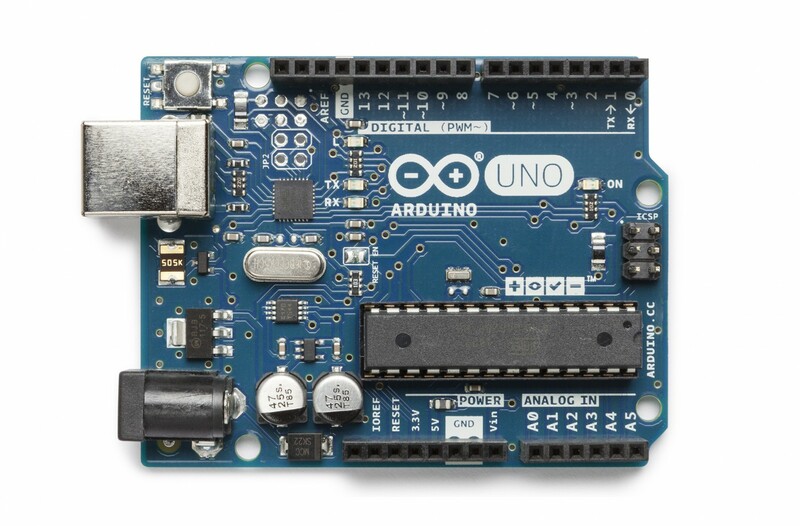 This means that you can control lots of LEDs using just one digital pin of your Arduino. 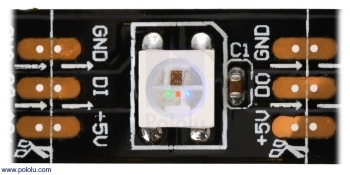 In the following figure you can see the chip inside the LED. The LED is an RGB LED and works like so. This kind of strips are very flexible and can be cut to any length you want. As you can see, the strip is divided into segments and each segment contains one RGB LED. You can adjust its size by cutting the strip with a scissors in the right place (the proper places to cut the strip are marked). 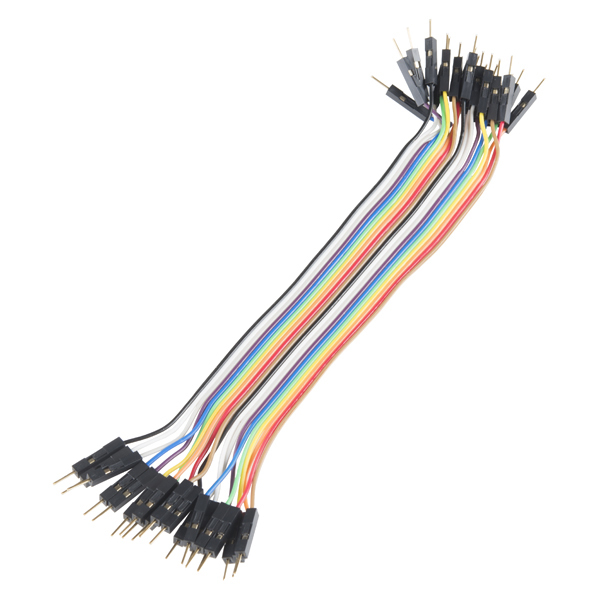 These strips come with connectors at each end. We have cut the connectors, and solder header pins. This is more handy if you need to connect the strip to an Arduino or to a breadboard. The WS2812B digital RGB LED strip should be powered using a 5V power source. Each LED draws about 50mA, when set to its full brightness at 5V. As we have the LED strip with 60 LEDs the the LED strip may draw approx 3A. Make sure you select a power source that matches the strip’s needs. 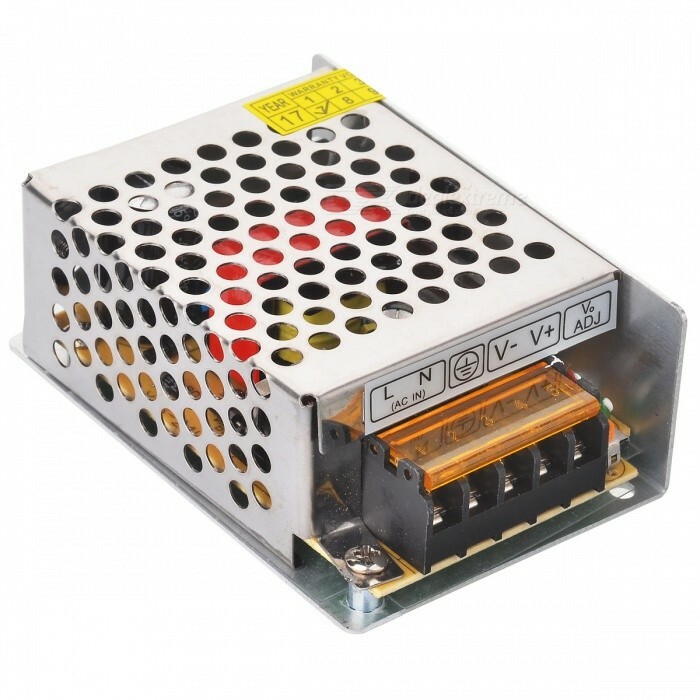 An AC to DC power adapter that provides 5V and 3A should do the job. These LED strips usually come with a removable tape, so that we can stick them wherever we want. The problem is that LED strips don’t stick very well, so chances are that you’ll find your strip in the floor the following day. The LED strip case that diffuses the light well available on the market with different shapes and you can screw it to a shelf or wall if you want a permanent solution. 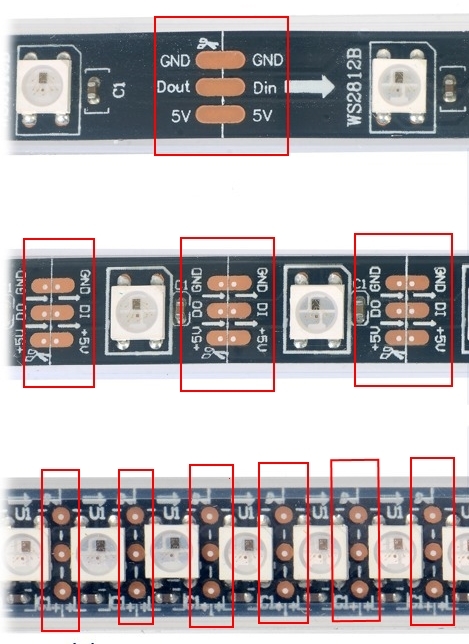 This LED strip have three pins: VCC, GND and data (DO and DI). VCC (+5V) and GND are used to apply power to the strip and the data pin should be connected to your microcontroller. Consider adding a 100-500 Ohm resistor between your microcontroller’s data output and the LED strip to reduce the noise on that line. Verify and upload the the sketch to your Adruino Uno. We learnt how to connect WS2812B digital RGB LED strip to Arduino board and use it. SimpleRgbStrip - A simple animation with an RGB LED strip. RgbStripSequence - Animation sequence for an RGB LED strip. RgbStripSerial - This is a playground for the ALA library that allows to control animations using AT serial commands. ATA library included. Download, unzip and add to libraries in our PC, for example C:\Users\toshiba\Documents\Arduino\libraries. This link you can find in Preferences of Adruino IDE program which installed in your PC. You can read about it here. FastLED library included. Download, unzip and add to libraries in our PC, for example C:\Users\toshiba\Documents\Arduino\libraries. This link you can find in Preferences of Adruino IDE program which installed in your PC. You can read about it here.